Newcastle Central Station - 20 minutes walk, or 5 minutes by car. As final year degree students, Meryl Lusher, Elaine Dixon and Maureen Nelson, are coming to the end of a four year creative journey during which they have encountered a wide range of ceramic artists both in and out of their learning environment. Many of these connections have had a direct influence upon their work and, whilst others have made only a fleeting impression, some have resulted in long lasting associations. 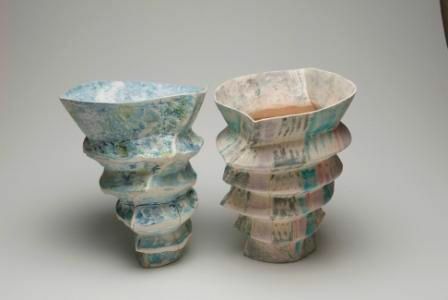 This exhibition will provide an opportunity to view the work of the three final year students alongside the work of a selection of established ceramicists who have been connected, in varying degrees, to the students' journey. These include three nationally recognized artists and former course tutors: Christine Constant, Fiona Thompson and two current tutors at Newcastle College, Andrew Pentland and Paul Hunter Allen. Other well known artists who will also be exhibiting their work are George Ormerod, Ray Pearson, Julia Roxburgh and John Scott.